Your Domain Name buy Misoprostol no prescription Read the story from the Bradford Era here. Read the story from the Bradford Era here. Read the article from the Bradford Era here. Pictures are in! Click here to see them. 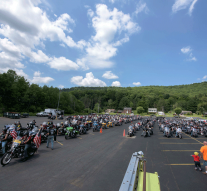 The 18th Annual Dice Run held on July 25, 2015 was a resounding success! The weather was beautiful and the bikers were ready to roll! Pictures from the 2015 Annual Run are now available here. Proceeds go to the Kids and Cancer Benefit Run.